The new technology can detect anemia with 97 percent sensitivity by analyzing photos of a user's fingernail. A smartphone camera, fingernails and a new app could be key to remotely testing for anemia in the future, according to a new study published in Nature on Wednesday. The study, which included 100 participants with and without anemia, examined the accuracy of a smartphone app that uses fingernail color as a screening tool for anemia. The app was able to detect 97 percent of the participants with anemia. It also had a accuracy of plus or minus 2.4 hemoglobin (Hgb) grams per deciliter when it was compared to CBC hemoglobin levels. The app was designed as an alternative to traditional anemia tests, which require specialized equipment in a clinical setting. The system employs smartphone cameras to take a photo of the patient’s fingernail, which can then be analyzed for anemia via algorithms. Researchers note that they implemented quality control software to ensure that fingernail irregularities don’t impact the results. 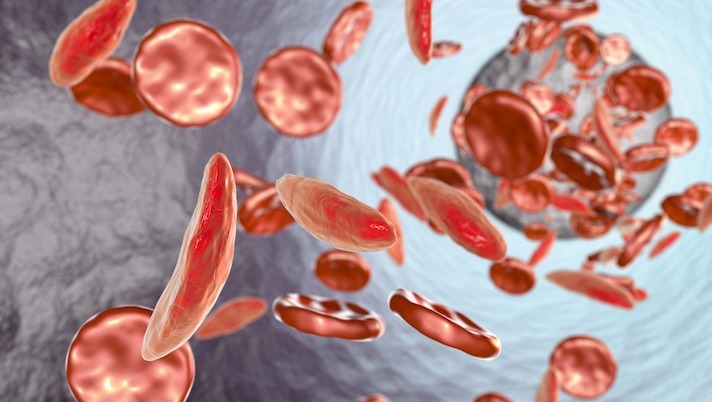 According to the CDC, anemia or iron deficiency accounts for 5,349 deaths in the US annually. Globally the condition affects over 2 billion individuals, the researchers wrote in the study. The causes of the condition range from nutritional deficits to autoimmune disorders like sickle cell. But getting patients to tests can be tricky. “Existing clinical approaches to measure blood Hgb levels require specialized equipment and represent tradeoffs between invasiveness, accuracy, infrastructure requirements and cost, all of which are especially problematic in rural and low-resource settings, where anemia is most prevalent,” researchers wrote. This isn’t the first app designed to detect anemia. In 2016, researchers at the University of Washington were reportedly working on a smartphone for noninvasive anemia detection. This technology used a video to record light from the phone’s flash and additional LED lights to detect anemia. Using apps to help detect different conditions has been a rising trend. Skin cancer and other dermatological conditions have often been the low-hanging fruit in this arena. For example, FirstDerm offers online consultations with board-certified dermatologists and a free product that uses AI to give users ideas about what their skin condition might be.